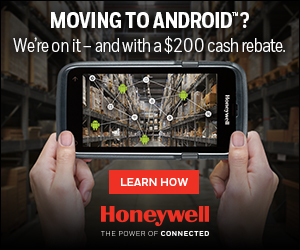 Is your warehouse or DC operation ready to transition to Android™ 6.0? 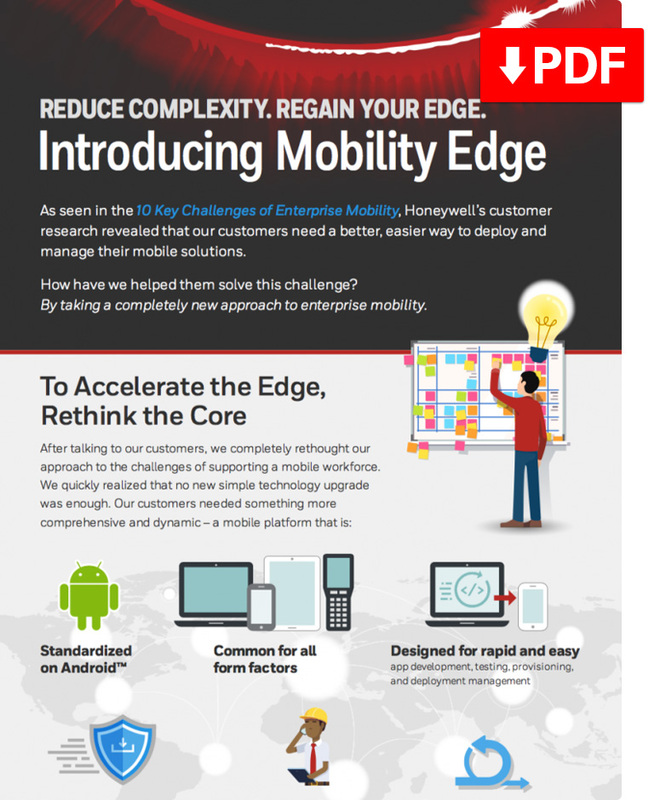 Or, would you prefer to wait and get every last bit of benefit from your investment in Windows® Embedded Handheld 6.5? There’s a single mobile computing device that lets you do both. 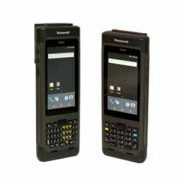 Honeywell’s CK75 ultra-rugged mobile computer supports both operating systems—so you can extend support for WEH, then convert your CK75 devices to the next-generation OS when your business is ready. A true no-compromise solution! 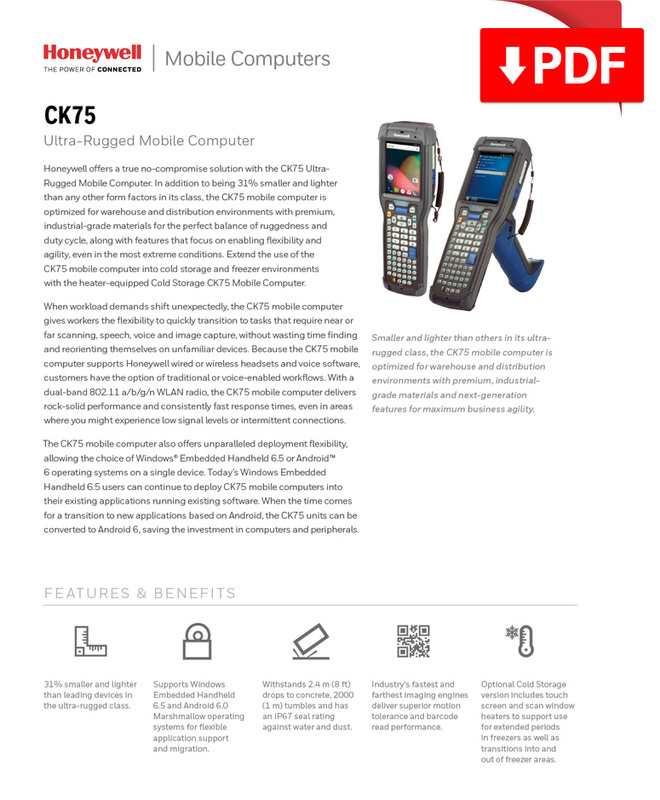 In addition to being smaller and lighter than others in its ultra-rugged class, the CK75 mobile computer is optimized for warehouse and distribution environments with premium, industrial-grade materials for the perfect balance of ruggedness, and duty cycle. POSDATA can help you identify the right devices and solutions. Contact us today for a no obligation CK75 demo loaner from POSDATA and learn how we can help you make a seamless transition.